Harry Reid retiring from Senate. 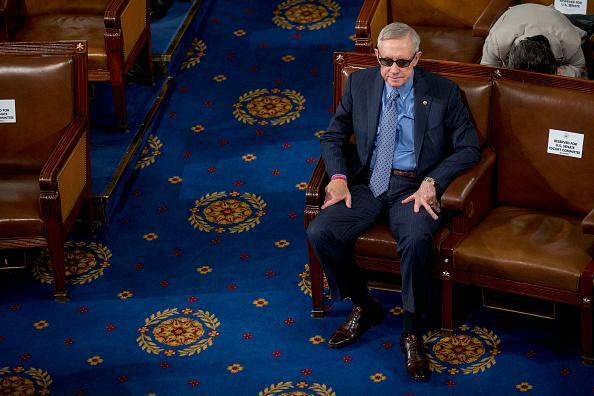 Reid, wearing special glasses because of a January eye injury. Reid added that avoiding a high-profile Republican challenge to his re-election in Nevada would allow Democrats to divert campaign money to other potentially competitive races, in Maryland, Florida, Missouri, and Pennsylvania. In Maryland, long-serving Democratic Sen. Barbara Milkulski is retiring; in Missouri and Pennsylvania, Republicans Roy Blunt and Pat Toomey are running for re-electon; in Florida, Marco Rubio may be vacating his seat for a presidential run.